Through the financial help and guidance of the CellCgirl Bursary Fund, seven disadvantaged women have recently graduated. Since the fund’s inception in 2015, a total of 19 students have graduated in the fields of ICT, medicine, law, finance, commerce and marketing, and, according to Cell C, every one of them has been successfully employed. "We are very proud of these exceptional young women and honoured to have been in a position to help them accomplish their tertiary qualifications. Education is paramount in achieving gender equality in South Africa as it empowers women with knowledge, skills, self-confidence, social and economic status," says Cell C managing executive: CSI, Suzette van der Merwe. "These qualities enable them to go out and actively contribute to our economy and create a better nation for all," adds van der Merwe. 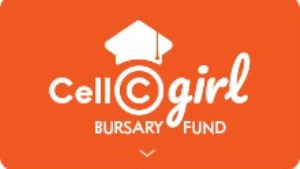 The CellCgirl Bursary Fund has been instrumental in creating opportunities for learners from vulnerable backgrounds by investing in their tertiary education. In this initiative, Cell C has partnered with non-profit organisation the Tomorrow Trust, which provides psychosocial support, life skill development and academic support. "We hope to unlock South Africa’s potential by providing world-class holistic education programmes. These young graduates are an inspiration. Despite their backgrounds and challenges, they have led by example by working hard to complete their studies. They show how to go about contributing to building a better society," says Tomorrow Trust’s CEO, James Donald. "I went into law because I have a passion for fighting for the rights of ordinary South Africans. This bursary has helped me realise that dream," says Paula Hopetown, a recent LLB graduate from the University of Witwatersrand. Nelisiwe Mfabe, who completed a marketing communications qualification, adds, "This bursary helped me complete my studies when I was about to give up due to lack of funds. This has really helped me improve my life and that of my family." Over the years, the Bursary Fund has also received support from various partners including DNI, Huawei, Hellocomputer, MerSETA, ABSA and Cell C shareholders. Bursaries cover registration, tuition fees, books, accommodation, a monthly allowance, Cell C data and ICT equipment. For more information, visit www.cellcgirl.co.za. You can also follow CellCgirl on Facebook, Twitter or on Instagram.